Summary Details: Car van & motorhome hire excess insurance promotion site insurance4carrental.com has just had a makeover to make it easier to navigate and find the advertisers of these insurance products. Now in it's 4th year in the business of promoting car hire excess insurance, motorhome hire excess insurance, van hire excess insurance and mini bus hire excess insurance together with car hire, van hire and motorhome hire companies. Insurance4carrental.com has improved it's web site to make it even more user friendly. 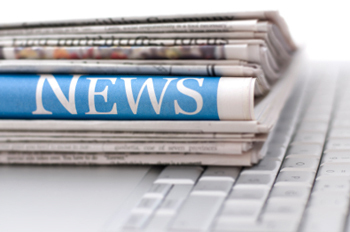 The width of the site on the computer screen has been increased to clearly lay out each advertiser's page and relevant vehicle hire information pages, driving guides and articles. There are now nearly 200 pages of content and every page incorporates a search facility to help the visitor look for what he or she is after. There are now 9 car hire excess insurance companies, 2 van hire and 2 motorhome hire insurance companies advertising. There is also one company advertising that will cater for mini bus hire excess insurance up to 9 seaters. Car hire excess insurance companies advertising are insurance4carhire.com, Worldwideinsure, Questor Insurance, carhireexcess.com, daily excess.com, iCarhireinsurance.com, Protect Your Bubble, Essential Travel and Odyssey Insurance. 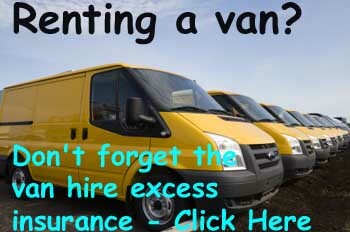 Van hire excess insurance is provided by insuremyvanhire.com and iCarhireinsurance.com who also can cover up to 9 seater minibuses. Questor Insurance and Worldwideinsure provide products for motorhomehire. Many of these companies advertising their products will cover residents who live in countries throughout the world, although certain country residents are not able to buy the products. The same applies of course to where the insurance company will actually cover someone for. For many years the jml Property Services Group has been promoting Holiday Autos on self catering holiday travel and insurance websites and has now added to the insurance4carrrental.com site Carrentals, Economy Car Hire and Rentalcars.com. Holiday Autos that has just reached the age of 25 not only caters for car hire, but van hire and motorhome hire. Philip Suter of jml Property Services, tthe company that runs the site said "The site now has a very good selection of excess insurance providers that also include Lifestyle Excess insurance and Travel Insurance and visitors should find it much easier to use with practically everything under one roof." Many of the car hire excess insurance companies offer their policies to residents of any country in the world, some restrict them to residents of the EU or EEA which is very good news for people wanting to buy car hire excess insurance and motorhome hire excess insurance . jml-property-Insurance.co.uk is part of jml Property Services, the trading name of Jeffrey Milner Ltd. The company is an UK based company that was established in 1979. jml insurance acts as a web promoter for insurance companies selling property insurance including landlord and tenant rental products, pet insurance, wedding insurance, motor insurance, car hire excess insurance (via www.insurance4carrental.com), van hire excess insurance (via www.insurance4vanrental.com), motohome insurance (via www.insurance4motorhomerental.com ),travel insurance and non standard insurance products. They also operate jmlvillas.com an online marketing service for owners of holiday home property to advertise and are part of the jml Group that includes jml Training Consultancy.